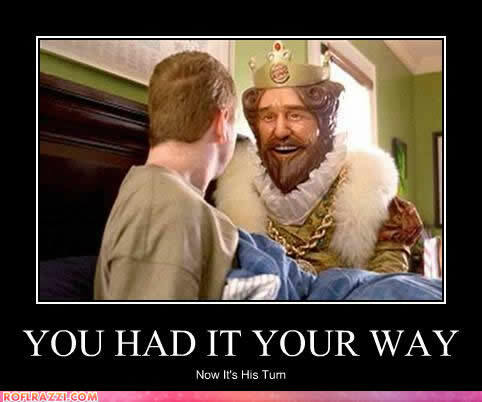 Burger King, the No. 2 burger chain, has quietly begun testing home delivery of its burgers, fries and other sandwiches since fall at four of its restaurants in the greater Washington DC, area, with an eye on expanding beyond that. Expectations for the King starting to rise.. This entry was posted on January 16, 2012 at 7:47 pm and is filed under Uncategorized. You can follow any responses to this entry through the RSS 2.0 feed. You can leave a response, or trackback from your own site.